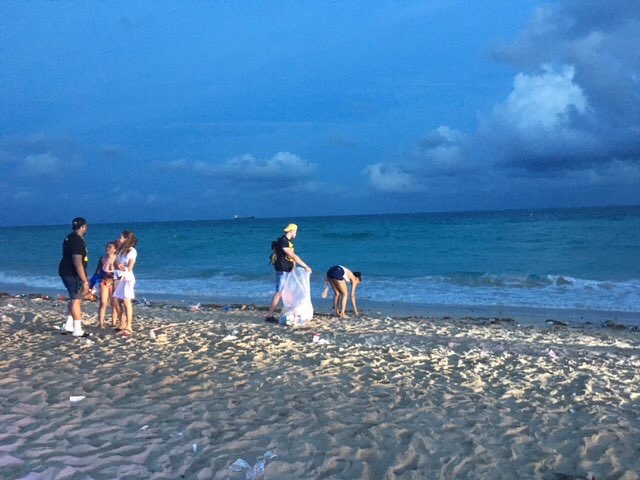 FIU students led a Miami Beach clean-up during spring break. After spending the day at Miami Beach with approximately 700 spring break revelers, FIU students decided to give back as a way of saying thanks to the city that welcomed them. Members of the Alpha Phi Alpha fraternity volunteered to help clean up the debris on the beach. This simple act of kindness made a strong impression with community members. The Miami Beach Police tweeted their appreciation of the students. One of the fraternity’s goals, Luscar says, is to develop leaders. They did that, too. 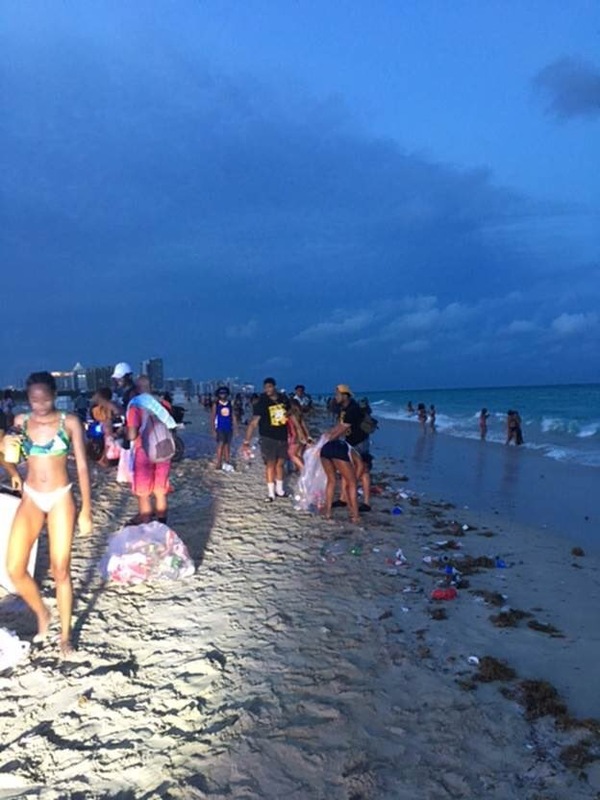 When partygoers saw FIU students take the lead to clean up the shoreline and sand, they followed suit. He hopes this will set a trend. Various news channels and media outlets across South Florida from WSVN-7 (Fox) to the Miami Beach Patch gave the Panthers a shout-out for their service. The students have reaffirmed their commitment to helping their community and are already discussing plans for future organized beach clean-ups. SALUDOS!!! Gracias por sus servicioas a la comunidad del Miami Dade County,Fl. and the FIU community. Simple terms myself at age 70 this year 2017, Alumni 1975 never imagine as retiree will be still providing humanitarian services. Your services are humble and appreciated. Yes, OLD SCHOOL, your services represent your personality regardless of the society welcome statement. Humbly want to quote a dear statement learned in the USA Marine Corps culture. FIU VOLUNTEERS be “THE FEW THE PROUD”. KUDOS!. signed now grandfather/alumni/community mentor/volunteer. Eddie A. Lombard. I did not know, I would have attended and helped.